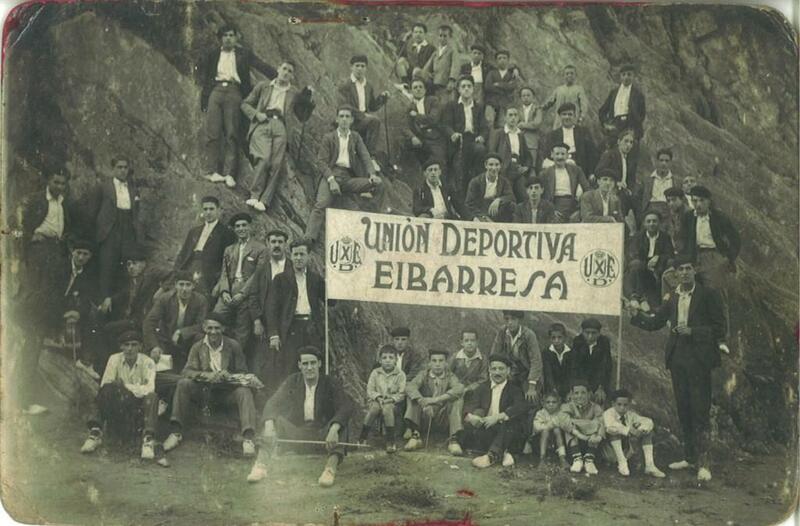 Upon returning to the Segunda A, Eibar´s primary objective was simply to avoid relegation. The 2013-14 season started slowly, but the team´s desire and belief continued to shine through. The squad was strengthened with astute signings which, in general, produced fine performances on the pitch. As the season progressed, many fans began to wonder when the players would start to feel the effects of a long and tiring campaign. In fact, exactly the opposite occurred, and Eibar fans were delighted with fantastic performances in the latter stages of the season. 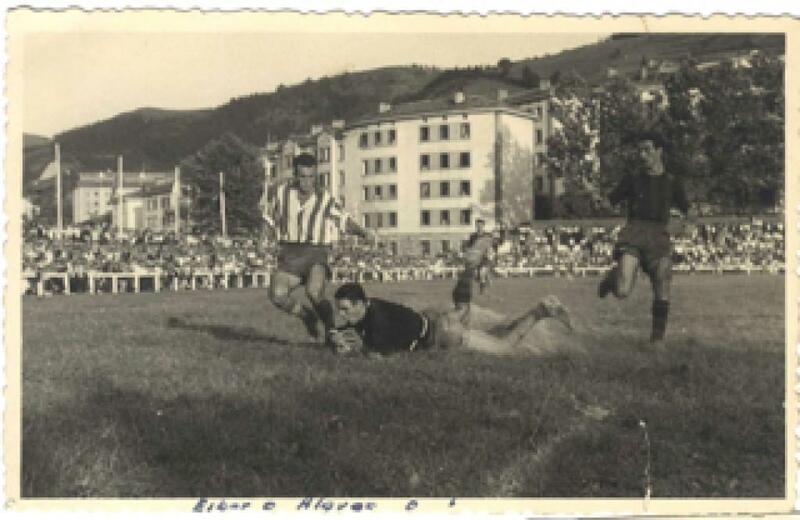 “En primavera el Eibar en Primera” and “Eibar Primeran” (“Eibar for the First Division”) became popular shouts from the terrace. Meanwhile, you had to look extremely hard to find a balcony which did not proudly display the blue and red flag of SD Eibar. The dream finally became a reality on 25th May 2014 after beating Alavés 1-0 at home in Ipurua. Even after the final whistle had blown and the result was confirmed, the team had to wait agonisingly for confirmation of another result. 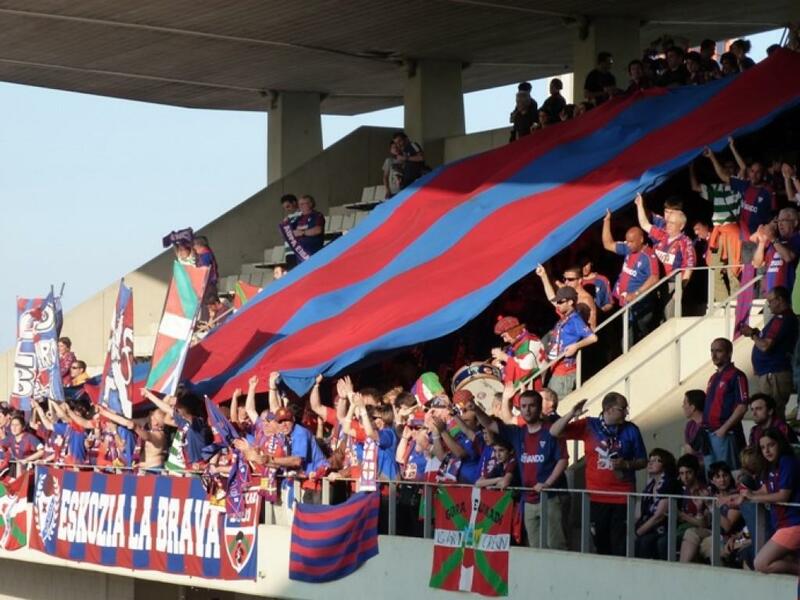 Many supporters turned on their TV sets or tuned into their radios to hear news filter through of Recreativo de Huelva´s unlikely away goal at Las Palmas, which mathematically confirmed Eibar´s promotion to the First Division 75 years after its creation. Elation was widespread and the city held a party which carried on into the night. 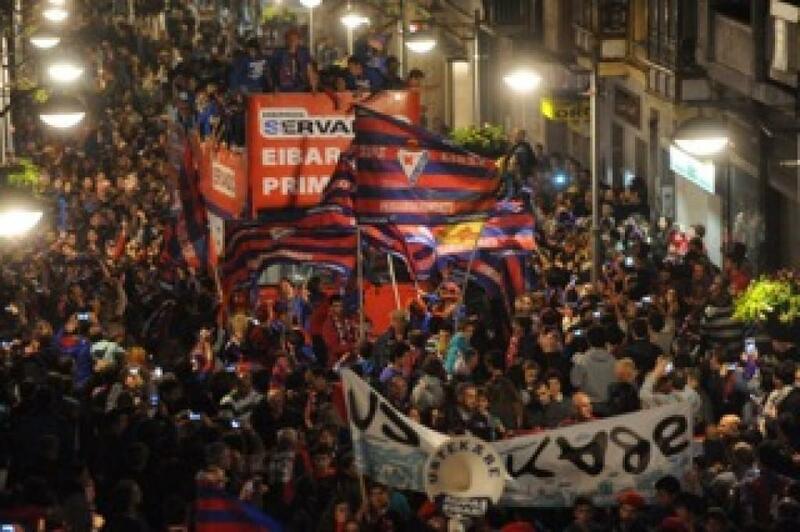 The celebrations were so wild, in fact, that the supporters drank the bars dry of Cava – some mean feat in the city of Eibar! 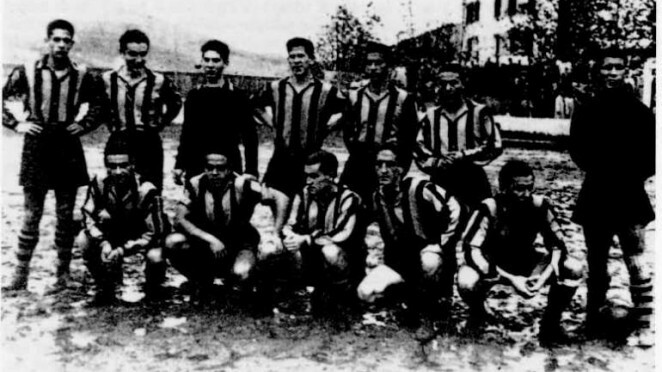 On June 7th 2014 the team was officially proclaimed Segunda A champion for the first time in their history after Deportivo de Girona fell to defeat, confirming the club´s second promotion in two seasons. 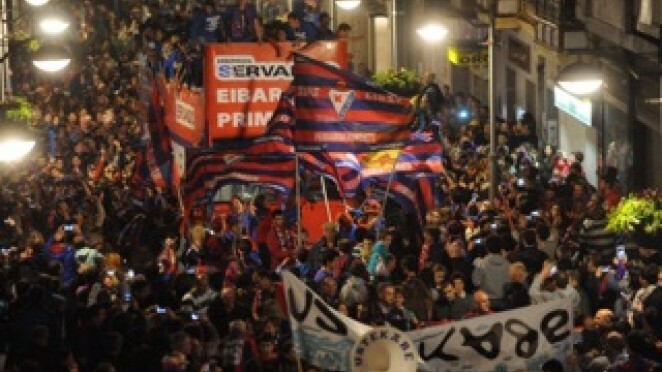 The team´s reception at Plaza Untzaga was simply incredible, eclipsing the grand celebrations which had occurred no less than twelve months earlier when the team was promoted back to Segunda A. 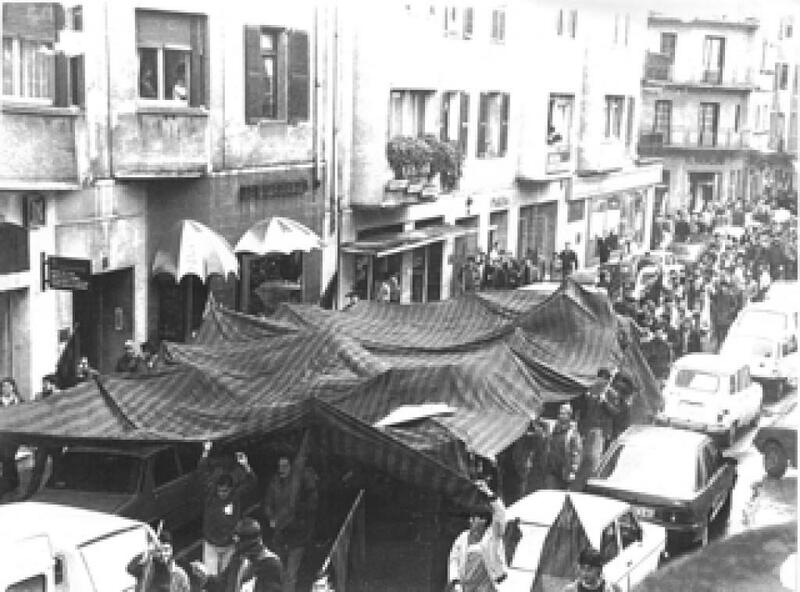 The promotion was celebrated by thousands of people in the city centre, who managed to completely fill the main square and all surrounding streets. The players celebrated from atop an open-top bus which moved slowly through the files of delirious fans who lined the streets. 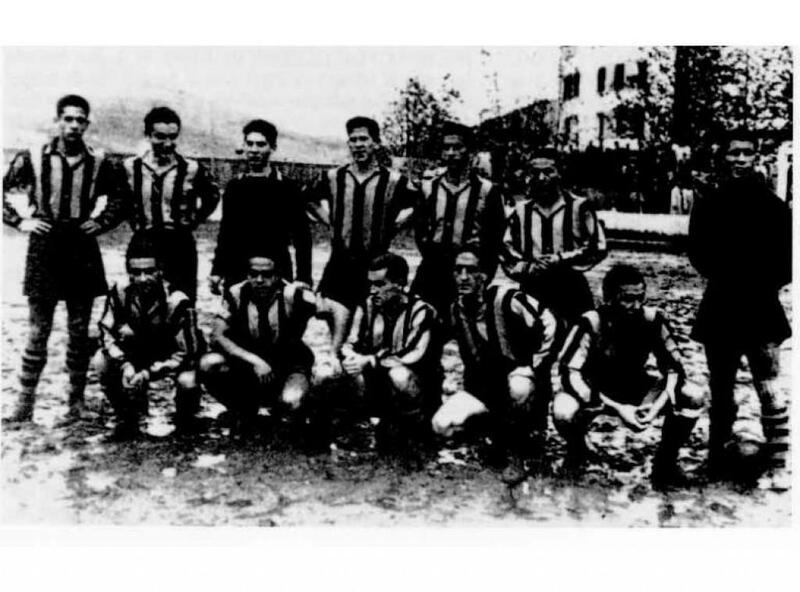 The fantastic sporting success was emulated by the club´s marvellous financial performance. 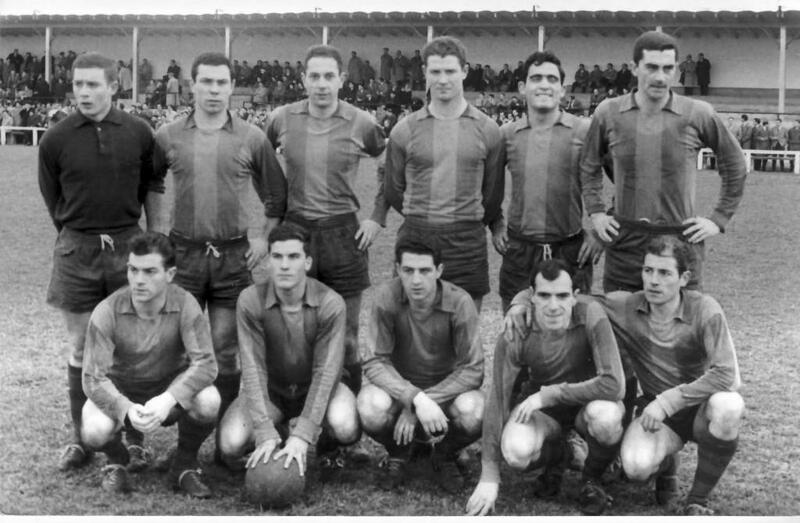 Against all odds, the club was able to increase its revenue stream in response to unjust legislation, which threatened to relegate a debt-free club back to the Segunda B.
Owing largely to a fresh, new marketing campaign named “Defienda al Eibar-Eibar Defendatu” (Defend Eibar), the club was able to raise 1.9 million euros in the form of small donations from 50 countries worldwide. This fundraising scheme allowed the club to reach and exceed the minimum requirements stipulated in the legislation. In the current 2014-15 season, the club continues exceeding all expectations given its monetary limitations. Whilst on-field successes may come and go, the club continues to face the struggle of safeguarding its future. 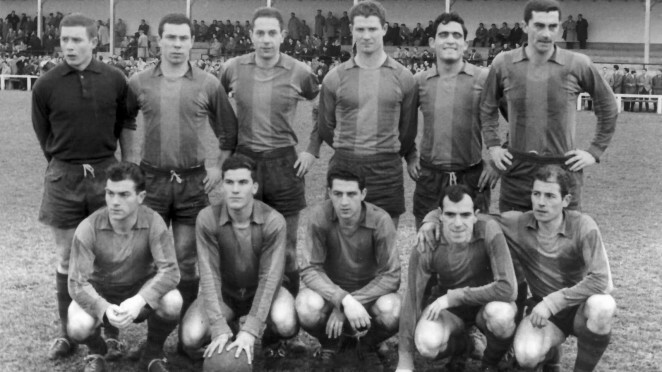 After 75 years, this humble outfit who were formed in the difficult post-war years continue playing against outstanding teams holding the world´s best players. Above all, the team continues to compete with dignity, effort and team spirit: values synonymous with Eibar throughout its 75 year history. It is true that certain aspects of Eibar´s future remain unclear. The team may find itself playing in one division or another. Players, directors and fans will come and go with the passing of time. 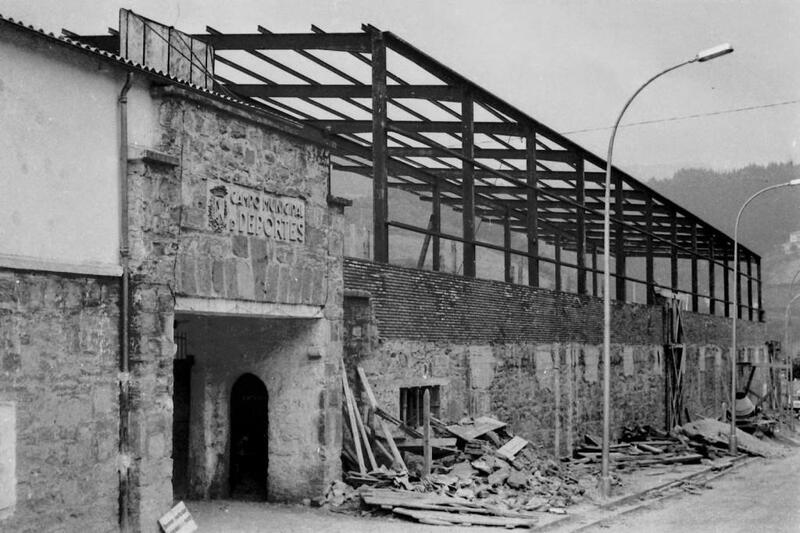 However, the one certainty is that the team will continue to embody the values and identity of the city of Eibar: “Eibar, where work is art”.